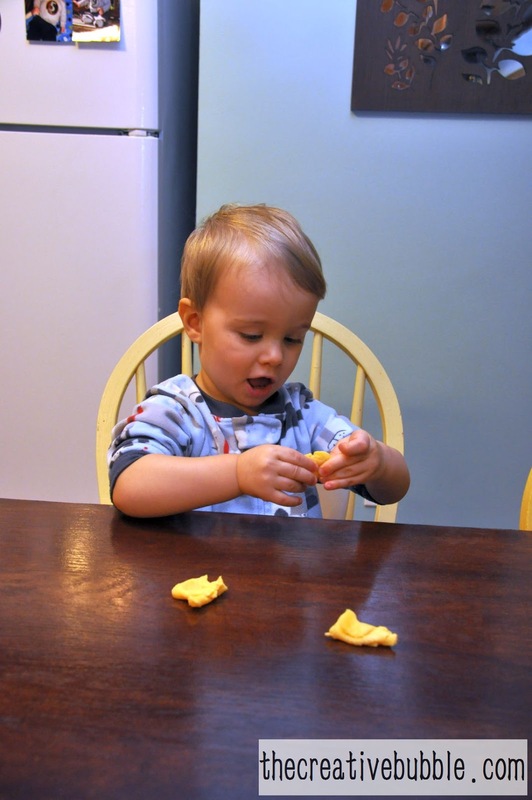 While surfing other blogs, I came across a blog where a mom was letting her seventeen month old play with play dough. I wondered why I hadn't let Levi try it yet. Well, really I knew...it's because he'd be likely to try to eat it. He's into this weird thing lately where he will find fuzz balls on the floor, play with them, and eventually try to eat them before I catch him and tell him how gross it is! I'm not sure if he's trying to mess with me or what, but if he's willing to put those icky fuzz balls into his mouth, surely he would try to eat play dough. I still wanted to give it a shot! Next, we are going to try sidewalk chalk as soon as it's warm enough. It's so fun to try all these new activities with him! 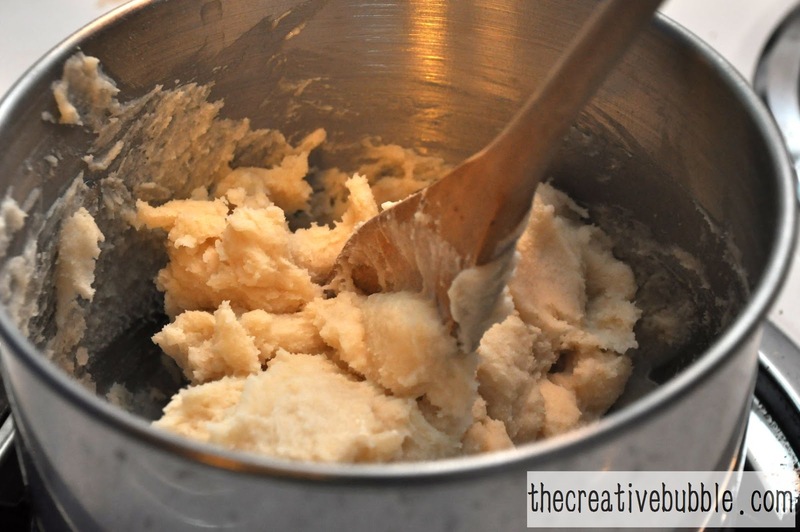 There are several recipes out there for homemade play dough. Some do and some don't have to be cooked. I discovered that the recipes you cook usually last longer, especially when they're stored in the refrigerator. I used a recipe from marthastewart.com, and added a twist. 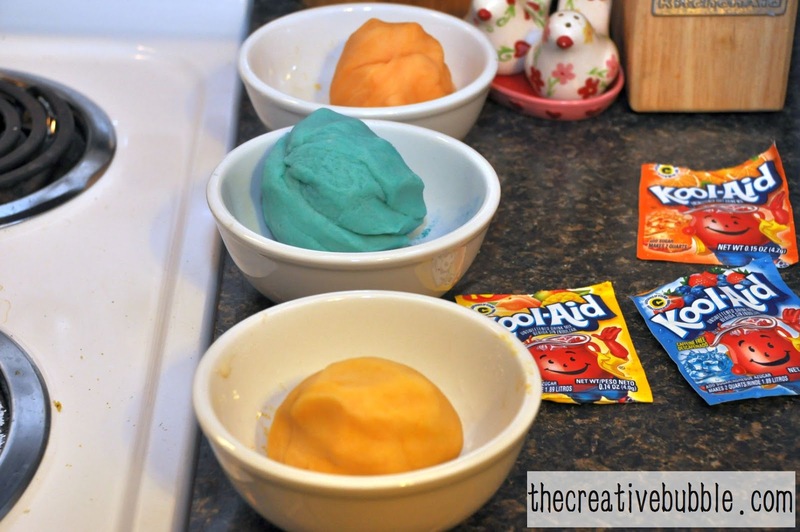 You can color and add scent to the play dough using a little koolaid mix. I didn't want to make it more enticing for my little one to consume, but I had to try this! 1. 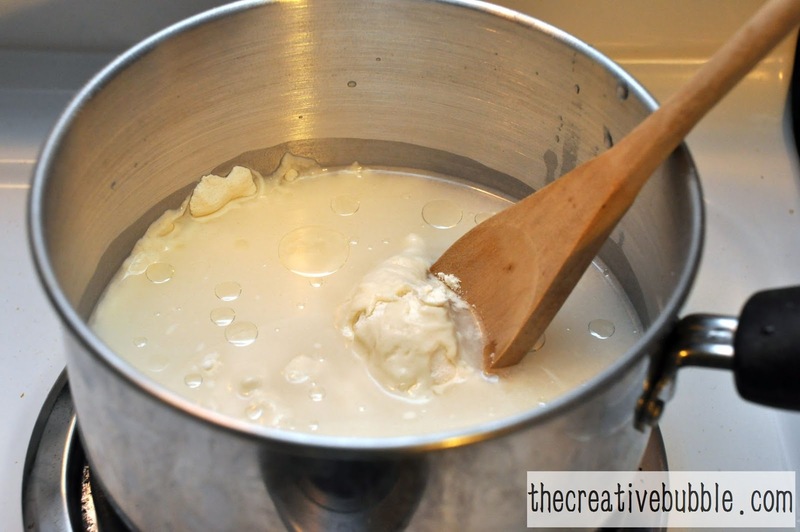 In a heavy saucepan, mix all of the ingredients. 4. 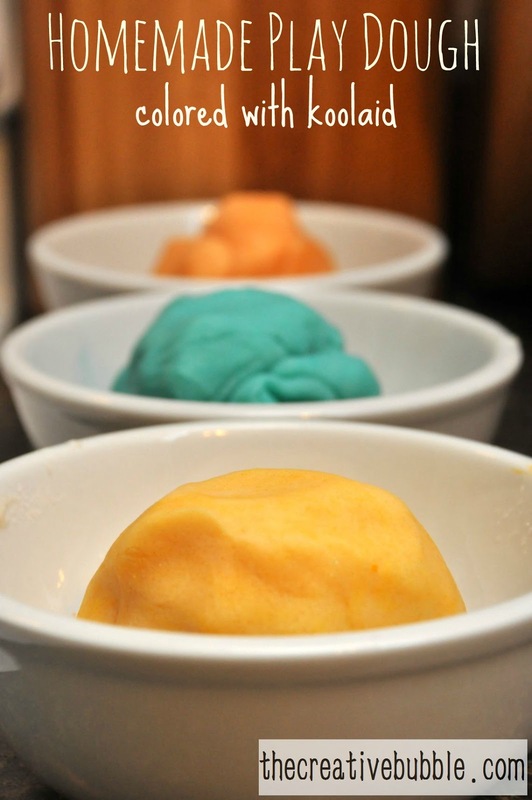 Play dough can be stored in airtight containers and will keep for several weeks in the refrigerator. The true test was whether or not Levi liked playing with it. He wasn't too sure about it at first, but now he asks to play with it when he's in his booster seat. ....and yes, he did try to eat it a couple of times. 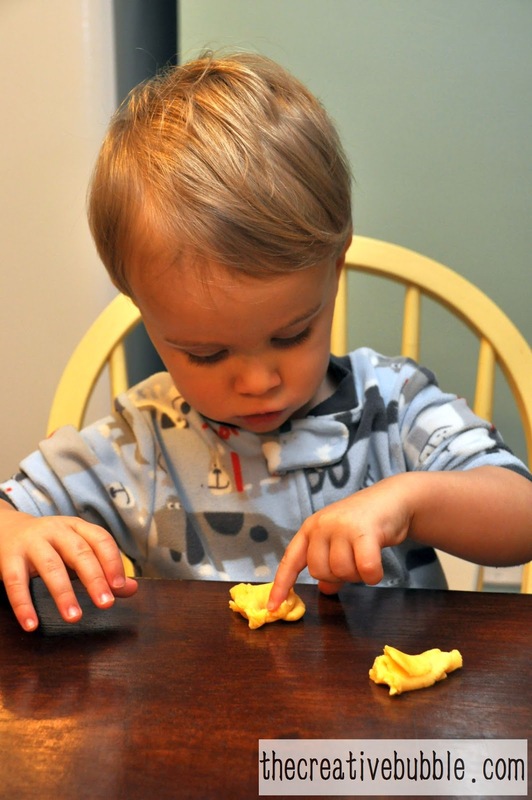 His favorite thing to do is to use kitchen tools to make impressions in the dough. I'm glad I could witness him enjoying this without having to make a trip to the store, and without spending anything (since I already had all the ingredients)! I hope you have fun trying this with your little ones! Take a look at our homemade finger paint endeavor, too.